We are glad that this edition of our Top 5 has provoked some reactions and feedback, and as you can see their effect is quite significant - we are introducing a new number one, subtitled Reader's pick. 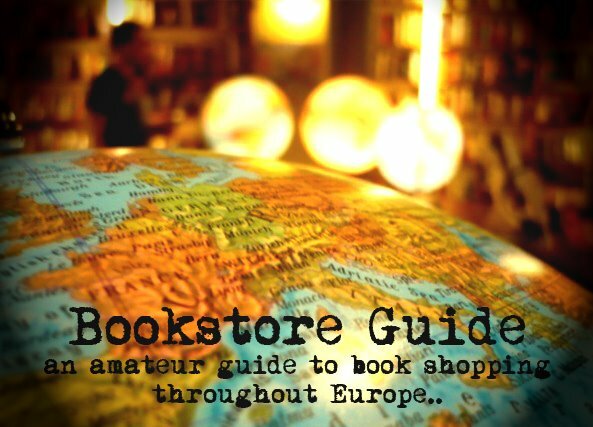 As our reader Pedro wrote: "I was looking at your Top 5 of the oldest bookshop on the Continent, though, and I'd like to suggest a new #1 for the list: Livraria Bertrand, in Lisbon, Portugal. 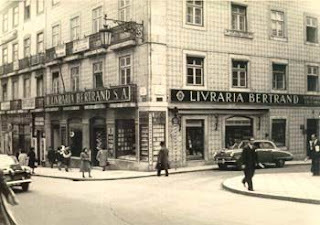 The Bertrand Bookshop ("livraria", in Portuguese) was founded in 1732. It was destroyed after the great Lisbon earthquake of 1755 and moved to its present-day premises on Rua Garrett, in the historical part of Lisbon, in 1773, thus pre-dating the Paris Galignani for almost 30 years." Livraria Bertrand, or the Bertrand Bookshop if you prefer, bears the name of its French founder Pierre Bertrand and it opened its doors for the first time in 1732 in the Portuguese capital Lisbon. This bookstore was completely destroyed on the 1st of November 1755 by the Great Lisbon Earthquake. During the early 18th century, Lisbon was still one of the largest European cities (with an estimated population of 200-250 thousand), and the city has enjoyed wealth and prosperity during the past few centuries due to its position as a very important trading center and also due to Portuguese colonial ambitions. 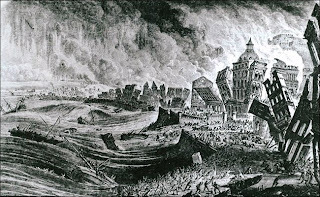 The catastrophic effects of the earthquake include death toll estimates ranging from 10 to 100 thousand victims (30-40 thousand according to most historians) and 85% of the buildings in the city destroyed, some of them by the subsequent fires which lasted for five long days. Many philosophers of the Enlightenment era reflected on this event, for example Voltaire mentions it in his famous 1759 novel Candide. However, Lisbon has been restored and the city got back on its feet, just as the Livraria Bertrand, which reopened in 1773 at a new location in Chiado in Rua Garret 73-75 and has refused to move since. During its long history, it has acquired the status of the focal point of Lisbon's intellectual and literary discussions and even political intrigue. The entire Chiado disctrict plays a very important part in the cultural and political history of the city. 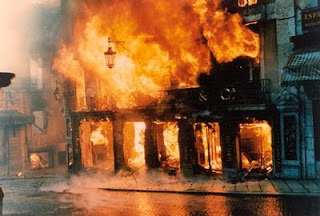 Another disaster struck on the 25th of August 1988, when a huge fire broke out in Chiado, spreading to rua Garrett as well and destroying 18 houses and killing two people, but Livraria Bertrand has manged to resist the forces of nature once again. Today, it still stands as a unique relic of the famous past of Lisbon, while fully adapting to the requirements of the modern bookselling business.